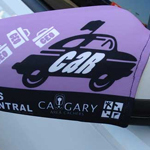 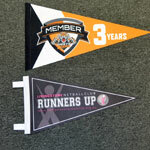 No matter the location, custom made wall flags are excellent advertising tools for branding at shops, promotions & events. 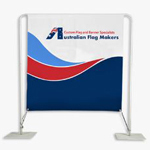 Teamed with a wall flag bracket (see our accessory page), custom made wall flags can be designed with any logo, message or colours and hung from any wall or post you desire. 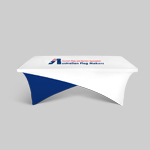 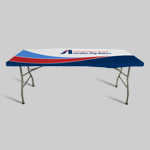 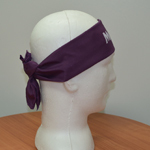 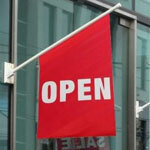 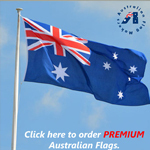 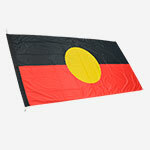 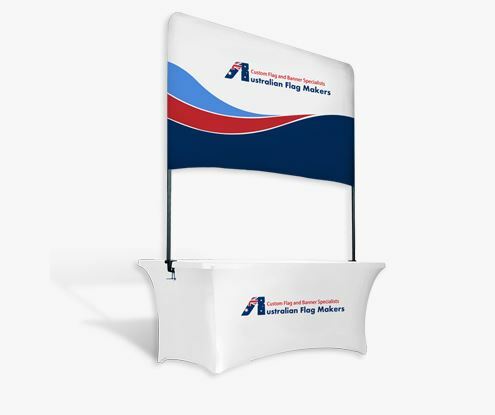 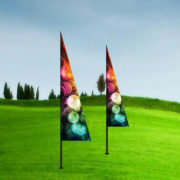 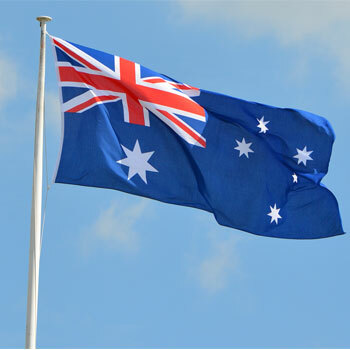 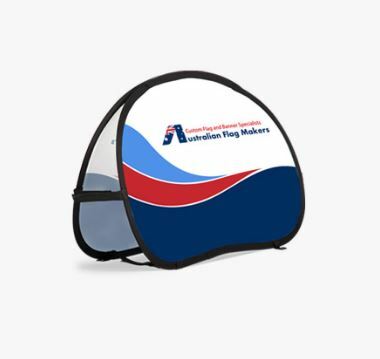 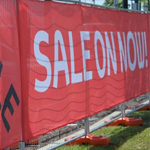 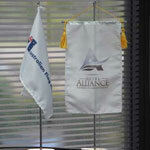 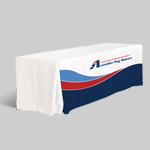 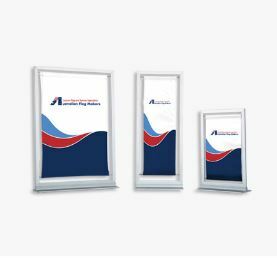 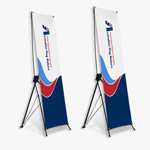 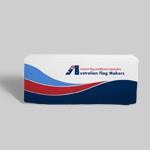 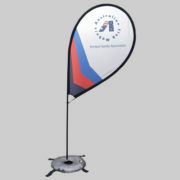 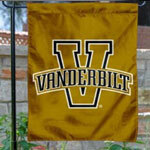 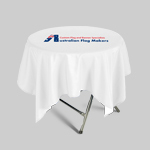 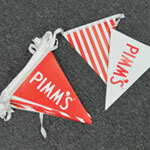 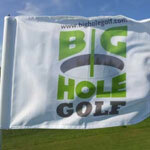 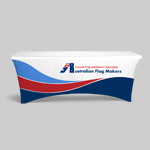 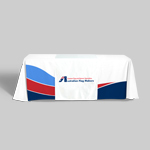 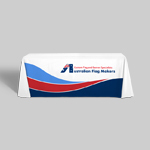 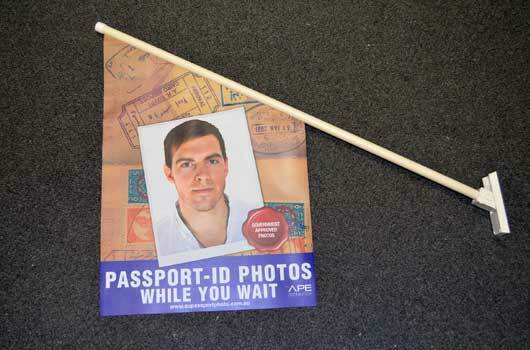 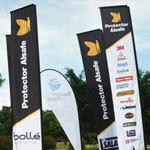 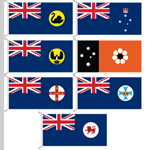 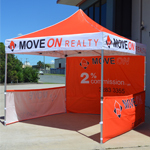 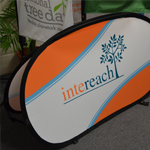 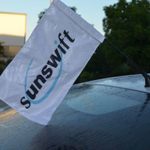 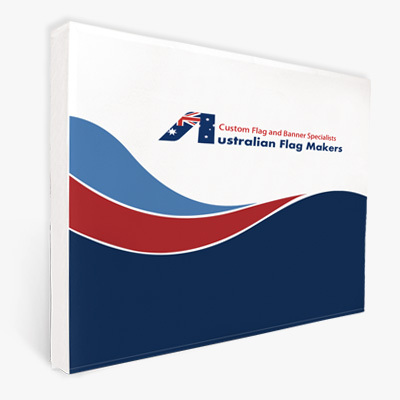 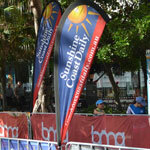 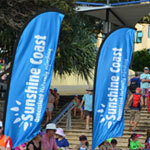 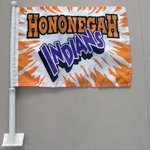 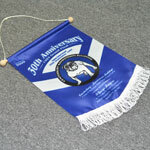 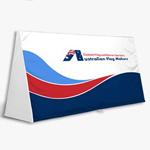 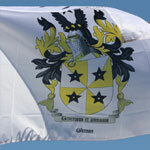 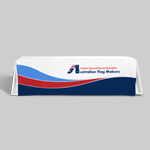 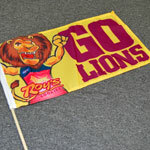 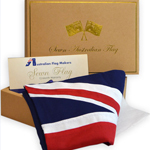 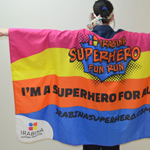 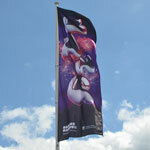 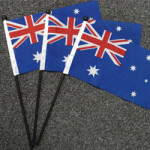 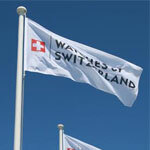 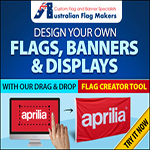 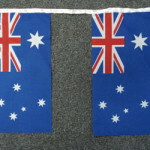 Perfect for shop fronts, offices or even trade shows, custom made wall flags are a great way to advertise your company. 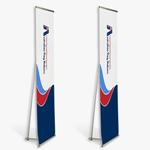 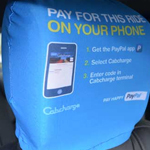 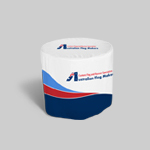 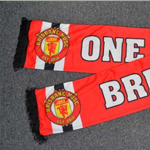 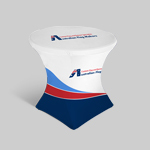 Printed double sided full colour.